Sgt Harold James Evans with son Mark. Taken at West Wyalong, 1969 / 70. Photo courtesy of Virginia & Mark Evans. 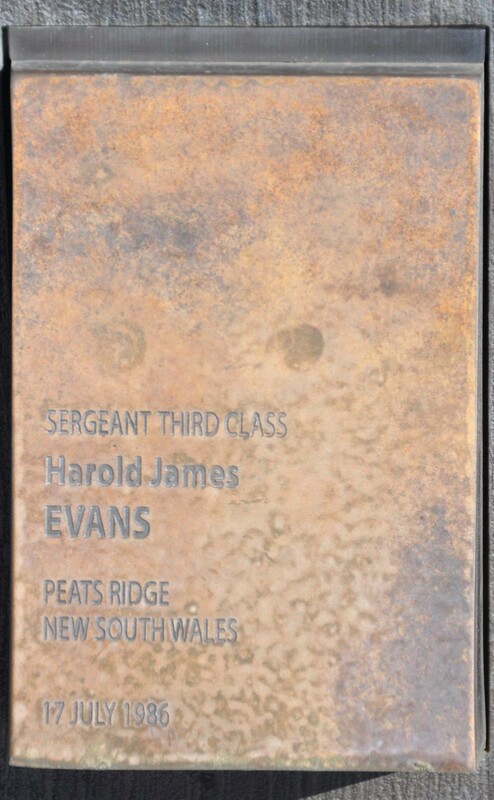 About 7.30am on 17 July, 1986 Sergeant Evans was driving a police vehicle towards Sydney along Peats Ridge Road, Peats Ridge when his vehicle collided with an oncoming vehicle. He died a short time later. 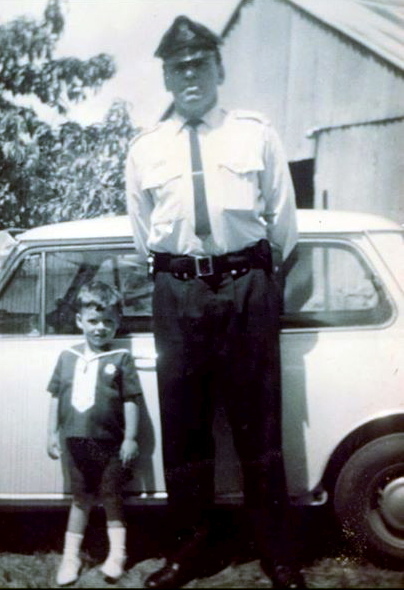 The sergeant was born in 1940 and joined the New South Wales Police Force on 20 June, 1967. At the time of his death he was stationed at Aberdeen. 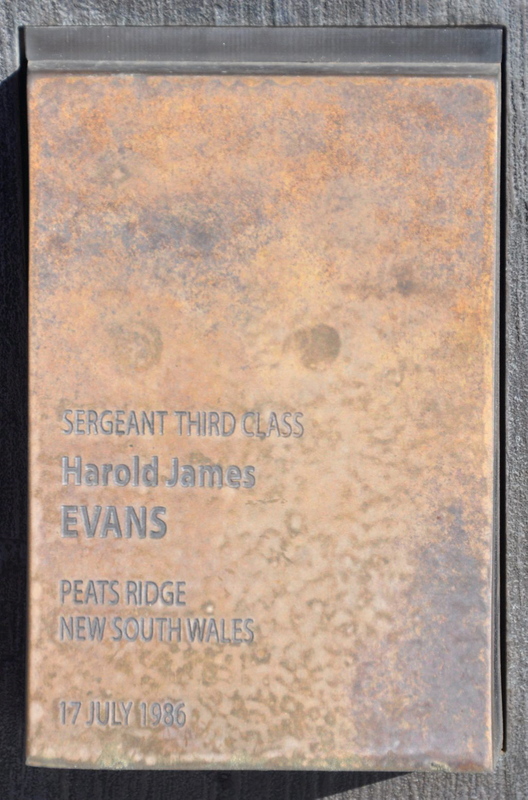 Sgt Harold James Evans ‘touch stone’ at the Canberra Police Wall of Remembrance.